In partnership with California's leading low-carbon fuel brand Propel Fuels, the City of Carlsbad is now fueling with the nation's cleanest and most advanced renewable diesel: Propel Diesel HPR (High Performance Renewable). The move immediately improves local air quality and reduces the city's fleet greenhouse gas emissions by up to 80% at no additional fuel cost or modifications to their fleet. While produced from 100% renewable inputs, Diesel HPR meets the ASTM D-975 diesel specification for use in all diesel engines, providing a seamless transition to the fuel for the city's diesel fleet vehicles. The City of Carlsbad's vehicles will be now be powered by the nation's cleanest and most advanced renewable diesel: Propel Diesel HPR (High Performance Renewable). "The City of Carlsbad has shown strong leadership in sustainability and climate action. Propel is excited to help extend their vision to their fueling program," said Rob Elam, CEO of Propel. "This is how smart fleets immediately reduce carbon emissions and improve air quality in the communities they serve." Renewable diesel outperforms petroleum in emissions, engine performance and value, providing cleaner and more efficient combustion, as well as significant reduction in harmful nitrogen oxide (NOx) and fine particulate (PM 2.5) emissions. NOx and particulates are directly linked to air quality in California, negatively impacting children, people with lung diseases and driver health. The City of Carlsbad is among the first city fleets in California to adopt low-carbon fuel renewable diesel. 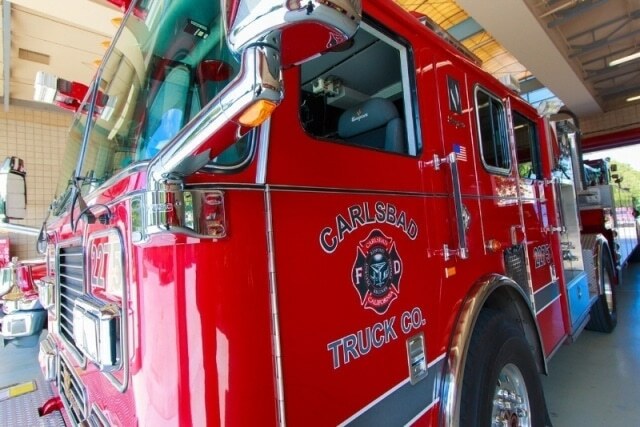 Carlsbad will run Diesel HPR in a range of Fire Department and Public Works heavy-duty vehicles including fire trucks, dump trucks and vacuum trucks serving the community. "Diesel HPR cleans the air we breathe and reduces the emissions from our city vehicles," said Steve Hodges, Management Analyst for the City of Carlsbad Public Works and General Services. "Propel provides access to the top low-carbon fuel in the country, allowing us to share the health and emissions benefits with anyone living in or visiting Carlsbad." Propel is the largest retailer of low-carbon fuels in California, operating stations across the state, and providing commercial and bulk delivery for business and government fleets. Drivers can find the nearest Propel locations and fuel pricing by downloading Propel's mobile app, available in the Android and Apple app stores. A complete list of locations is also available at propelfuels.com/locations. According to the U.S. Department of Energy's Alternative Fuels Data Center, renewable diesel's high combustion quality results in similar or better vehicle performance compared to conventional diesel, while California Air Resources Board (ARB) studies show that renewable diesel can reach up to 80% greenhouse gas reduction compared to petroleum diesel. Diesel HPR is produced by Neste and specially formulated and distributed by Propel. Refined from renewable biomass through Neste's advanced NEXBTL hydrotreating technology, Neste Renewable Diesel meets the ASTM fuel quality standards required by automotive manufacturers, making it fully compatible with all modern diesel engines in cars, buses and trucks.